Over 90% of Australia’s quota is caught by ASBTIA’s 8 member companies that are all based in Port Lincoln, South Australia. All companies transfer the wild catch into static cages for aquaculture. The members are listed below in order of their size. Click on each member’s name for more information. Australian Fishing Enterprises (AFE) was established in 1987 by Mr. Sime (Sam) Sarin. 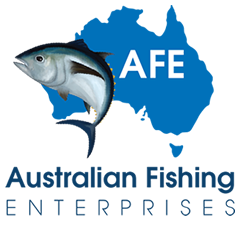 AFE specialises in the fishing, ranching and grow-out of Southern Bluefin Tuna (SBT) and is the largest quota holder of SBT in the Southern Hemisphere (holding greater than 50% of Australia’s quota). Tony Santic, a pioneer in Australia’s Tuna Industry, established Tony’s Tuna International Pty Ltd in 1994. Tony started ranching in 1992 and today is the second largest Southern Bluefin TUna ranch in Australia. Stehr group was established in 1972 and has become a driving force in the SBT industry. Stehr group is recognised as one of Australia’s leading seafood companies pioneering sustainability of resources. Its invovlement in the propagation of SBT was a world first and won international scientific recognition. Sekol Farmed Tuna is a partnership between South Australian Companies Fina K Pty Ltd and Lucky S Fishing Pty Ltd. They were incorporated in the 1970’s and have owned and operated individual quotas since 1985. They merged in 1997 and at present are producing about 500 tonnes of ranched gill and gutted tuna. Blaslov Fishing Group was established in 1980 and remains a successfully operating family owned buisness. Blaslov’s focus is to provie a fresh, premium product whilst preserving the environmental sustainability of the industry. Dinko Tuna Farmers is a top supplier of SBT. There are three tuna vessels in Dinko’s fleet: the Lukina 1, Southern Condor and Seatas 3. Dinko is involved in all processes of tuna farming: catching, towing, ranching and harvesting. Dinko’s SBT is exported directly to Japan. Sarin Marine farm was established in 1997. David Sarin with a solid background in the tuna industry is the founder of SMF and also the active president of the company. SMF is mainly focused on farming naturally caught SBT and supplying SBT with improved qualiy to overseas for the sashimi market.